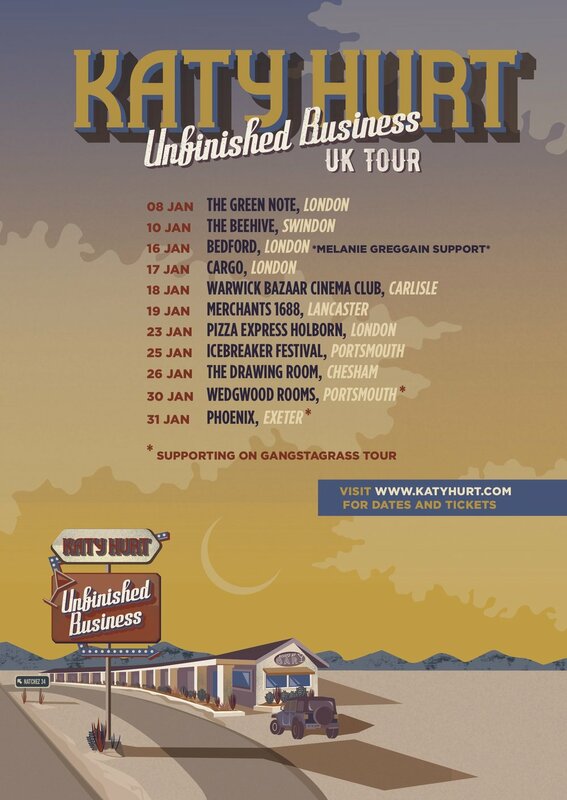 Katy Hurt is currently on tour throughout the UK to promote her current release ‘Revved Up’. ‘Revved Up’ marks the 2nd single from the highly anticipated, pledge-funded Unfinished Business EP recorded in Winnipeg, Canada with Juno Award winning producer Murray Pulver. A take-no-prisoners, Bonnie & Clyde stony, inspired by The Good, The Bad & The Ugly; with a mini western music video to match! The first single from the EP, "See Ya Later" released last summer, has received airplay on over 30 radio stations including Chris Country and Eagle, and has already amassed over 90,000 streams on Spotify. Katy Hurt has rapidly become a leading light on the UK Country/Americana scene and all without having released a full length studio album. 2018 saw her open for Liam Gallagher at Pilton Party, support Jools Holland, receive a nomination for "Best Country/Folk Act" at the Unsigned Music Awards, as well as performing festival slots at Country 2 Country, BlackDeer, Stone Free, Rhythmtree, Cornbury and many more.